The clean-up is underway after the biggest winter storm of the season blanketed Ottawa and eastern Ontario with snow. A Winter Storm Warning was lifted for Ottawa and eastern Ontario around 8:30 a.m. after 16 hours of snow. As of 8 a.m., 29 cm of snow had fallen at the Ottawa International Airport. The City of Gatineau reported some areas of the city had received 40 cm. The City of Ottawa is asking residents to stay off the roads today, to allow crews to clear the snow off roads and sidewalks. 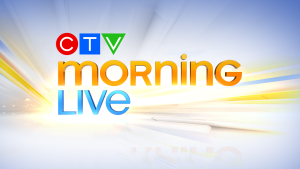 Speaking on CTV Morning Live Wednesday morning, Area Manager of Road Services Bryden Denyes said the focus was on clearing the main roads and sidewalks. Denyes added crews will begin a residential snow plow run later this morning. School boards in Ottawa and parts eastern Ontario have closed schools for the day. The University of Ottawa, Carleton University and Algonquin College have cancelled classes until late this afternoon. Ottawa had already received 216 cm of snow this winter, including a record 101.8 cm in January. 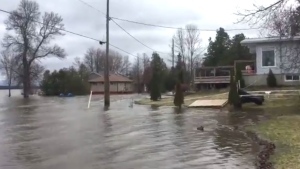 Extended: Aerial view of flooding in Bracebridge, Ont.